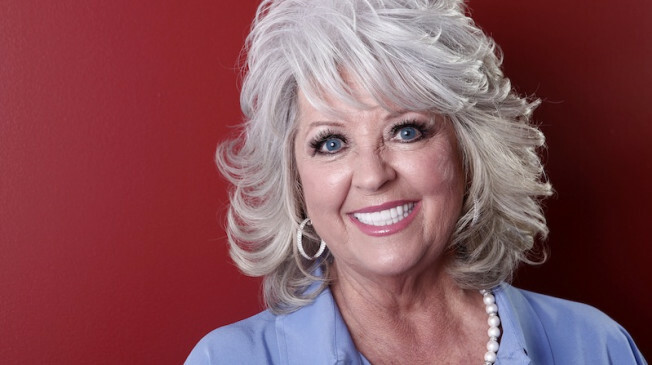 Paula Deen isn’t just looking for a brand-new kitchen. She’s looking for a brand-new place to call home! E! News can exclusively confirm the “Queen of Southern Cuisine” is putting her Savannah, Ga., home on the market for an impressive $12.5 million. And before you sound off on the price tag, you may just want to hear all about the impressive amenities offered to the next homeowner. Described as it’s own “private resort,” the property features a custom-built French Caribbean style home with two guest cottages, a charming dock house and a barn. And did we mention all the properties rest on 5.5 acres in a private, gated community? Yes, this place is big! The main house is approximately 14,500 square-foot and perfect for someone who loves cooking and entertaining. Outdoors, residents can enjoy a pool with a dive-in movie theatre. If it’s too cold to swim, there’s also the option to heat up the outdoor kitchen featuring three grills, one smoker, one electric oven, four refrigerators, an icemaker and a sink. Inside, the future homeowner can make use of the exact kitchen Deen made countless recipes in. Sorry but butter and fried chicken are not included. There’s also the private master bedroom that overlooks the river. Perhaps the most surprising perk to the whole house is the 10,000 square-foot barn that features three bedrooms and an eight-car garage. And yes, that space can also accommodates up to two RV’s. So why would Deen want to leave such a fabulous home? As it turns out, her busy schedule and business deals including restaurants, a digital network and a mobile game make it hard to enjoy the home she created so many memories in. Fans may recall Bobby Deen‘s wedding ceremony was held at the location and even Oprah Winfrey once visited during her talk-show days. While Deen looks to find her next home in Savannah that she will renovate and design, a source revealed to E! News that the radio host may have her eyes on another major city next. “She has been looking at incredible apartments in New York City to purchase as a second home,” an insider shared. Get ready, y’all. Paula may be coming to the Big Apple.